A major shift in the policies of donors and humanitarian agencies that has caused cuts in food supplies at camps for displaced persons along the Thai-Myanmar border has intensified the ordeal of people fleeing violence in Myanmar. Many aid agencies started preparing to move the camps to Myanmar after the National League for Democracy government under de facto leader Aung San Suu Kyi that won the election two years ago resumed the peace process. Under the plan, they have cut their budgets, resulting in a decrease in assistance. Food supplies for the camps that are not registered with the UN High Commissioner for Refugees will be cut off first, at the end of this month. 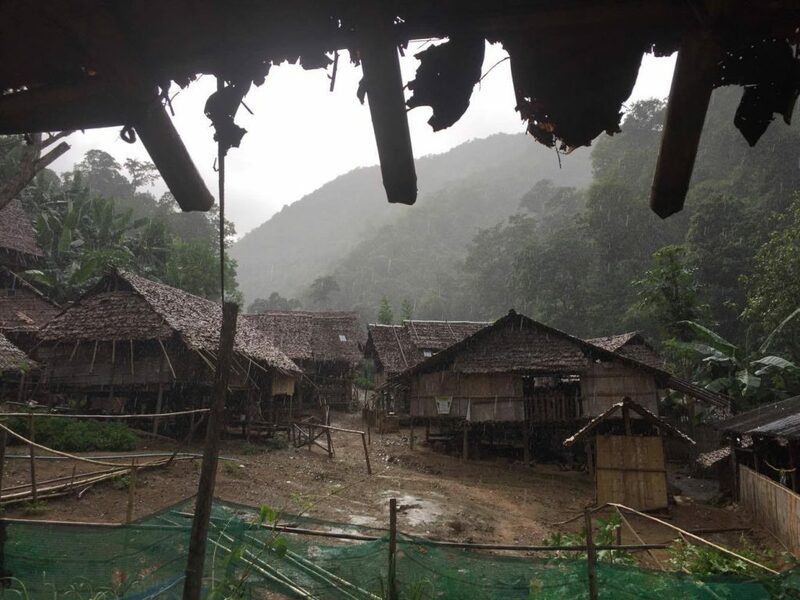 Among those affected are Shan refugee camps in some northern provinces of Thailand, including Chiang Mai, Chiang Rai and Mae Hong Son. There are more than 6,200 refugees in those camps, known as internally displaced persons (IDP) camps. Leaders from those camps who attended a recent lecture at Chiang Mai University insisted most of the refugees, in particular those from Shan state, wanted to stay in the camps. Myanmar soldiers are still present in many areas of Shan state and, despite a ceasefire, armed conflicts remain. Those living in the camps are ethnic groups that fled Myanmar after 1996, during the mass-relocation by the Myanmar army in central Shan state, uprooting people from their motherland and blocking them from joining the Shan State Army. At the same time, the Myanmar army had started to work with United Wa State Army (UWSA) in a mission to eliminate illegal drugs. The Shan people believed it to be an excuse by the Myanmar army to “divide and conquer”. The arrival of hundreds of thousands of Wa people into central Shan state was green-lighted by the Myanmar army and the resettlement came into succession. The Myanmar army’s operations between 1996-1998 caused more than 300,000 Shan people to flee for their lives, according to the Shan Human Rights Foundation. At least 80,000 people crossed the border to northern Thailand. But the Thai government at that time did not allow them to set up shelters or refugee camps. In the end, some Shan people had to build temporary communities along the border, and there are six IDP camps now. But some people remain in the northern region of Thailand and live harmoniously in the area. Another ethnic groups are those from Karen and Karenni State, who previously fled the invasion of the Myanmar army in 1976 and settled in refugee camps along the western border of Thailand. There are nine refugee camps with about 100,000 people living there. But their fates are also uncertain as international aid is decreasing and will eventually be cut off given the ongoing Myanmar peace process which is supported by so many countries, despite ongoing armed conflicts. On the Salween River opposite Mae Hong Son, more than 3,000 members of the Karen ethnic community are also in IDP camps called Ei Tu Hta. They fled the Myanmar military expansion in 2005, but they were barred from entering Thailand. These camps are also facing aid cuts at the end of this month. In total, there will be around 8,000 people in those camps along the border left to face an unsteady future. “Food rations in the camp are already insufficient. We try to grow vegetables and keep livestock on our own. However, land here is extremely limited due to security reasons, and proper cultivation such as Karen rotational farming is impossible. We have to struggle through many difficulties. But staying in the camps is far safer than going back”, said Hser Htoo Plaw, a leader of Oo Wei Klo IDP camp that provides shelter to thousands. He shared his concern when I visited the camp late last month. He said people in the camp vowed not to return home as the Myanmar army still has a strong presence there. Repatriation doesn’t seem practical for them. Displaced persons in Oo Wei Klo camp were receiving 12kg of rice per month, including some salt, but that will be cut as well. There were already signs that relief funds for refugees and IDP camps would be cut off. Many foreign organisations that provided food, healthcare and education in Mae Hong Son, Chiang Mai and Tak provinces were told to relocate to Myanmar as the peace process was heralded, though without solid progress. The situation in remote ethnic areas is very worrisome. Ironically, the plight of refugees and displaced persons, which used to be a major issue for human rights advocates, appear to have lost ground as Myanmar is now under an elected civilian government. But as I said, little progress has been made in the peace effort. People are still struggling and uncertainty in their lives prevails, but aid workers who act in the name of human rights seem content to leave them behind. In both western and eastern parts of Myanmar, the refugee crisis is similarly critical. As the conflict in the western Arakan state worsens, hardship in the eastern part remains dire and forgotten.